The Crystal Palace is family friendly buffet. I would recommend it to families with children between the ages of 3 and 6 years old. This is because characters from the classic story Winnie the Pooh go from table to table to take pictures and sign autographs. Children who are too young are often frightened by the large characters, while older children tend to be bored. As suggested by the beautiful front wall, the inside has lots of natural light coming in through large windows. Contrasting greatly with this expertly crafted building is a large banner celebrating Friendship Day which looks as though it had been lettered by Winnie the Pooh himself. In addition to greeting children, characters invite children to engage in a Friendship Day parade. The characters present include Winnie the Pooh, Piglet, Tigger, and Eeyore. 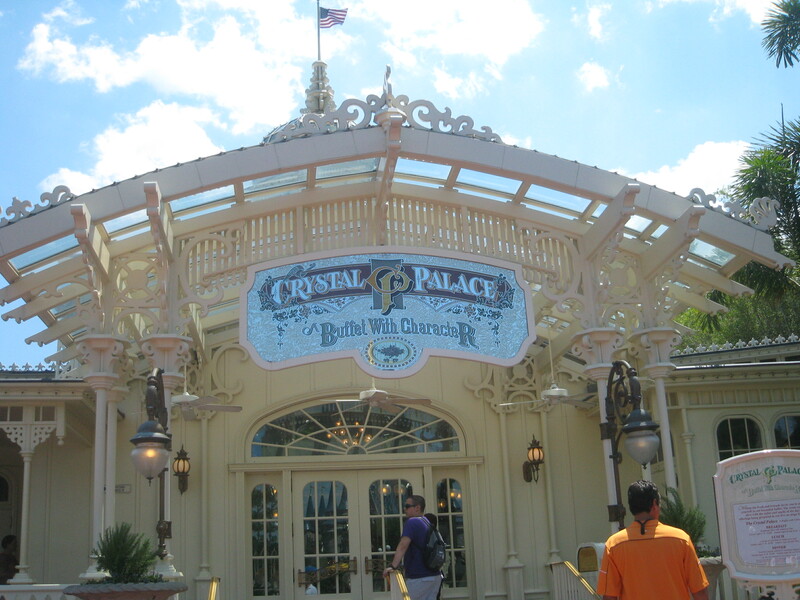 the Crystal Palace is certainly a Buffet With Character!